Guangzhou Icesource Co., Ltd. (trademark CBFI), a pioneer in the large-scale freon refrigeration and ice making equipment industry, a large ice plant and cold storage engineering solution service provider, is an innovative and entrepreneurial high-tech enterprise that integrates research, design, manufacture, sales, and after-sales service of a large-scale edible ice making equipment, large-scale industrial ice making equipment, high-end commercial ice maker, complete ice making system and small and large cold storage project. The main products are various kinds of ice making machine(direct-cooling block ice machine, block ice machine, tube ice machine, cube ice machine, flake ice machine, plate ice machine, pure ice machine and fully automated ice plant). Products are widely used in food, fishery, retail, fruits and vegetables, aquatic products, chemicals, medical, construction, minerals and other fields for cooling, storage and preservation. 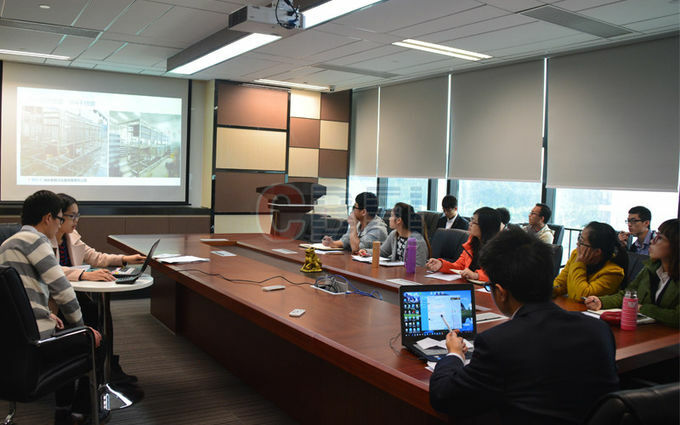 The founder Yang Hongbo and Zhang Shaozhi set up Vista Refrigeration Research Laboratory and to put forward the concept of energy conservation and environmental protection. 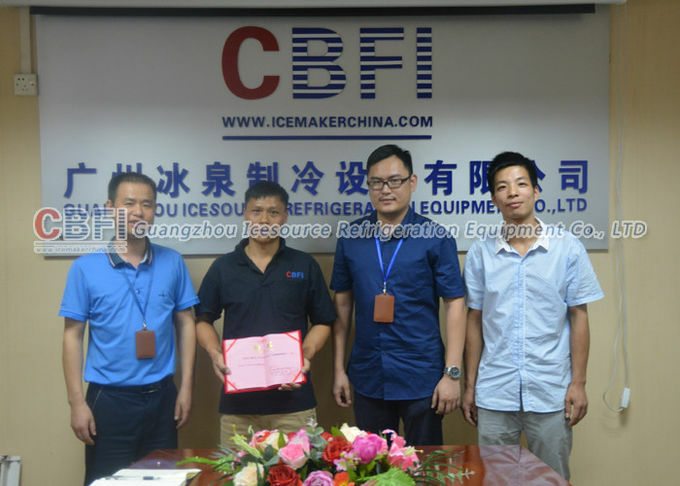 The company worker together with BUCO company in Germany and have technical exchange, started the first project of energy conservation and environmental protection ice macine in China, this is to say the tecnological development of large ice plate machine. Vista Refrigeration Research Laboratory introduced the experiment model of the plate type heat exchanger from BUCO company in Germany. The first test machine of ice plate machine have been finished, It started to do the flat wall scroll liquid file heat transfer experiment. 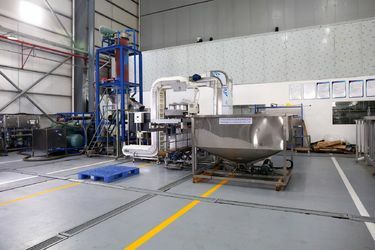 According to the experimental data, the company rectifies and reforms the model machine, adopted multi-loop cooling and single-loop heat to collect ice experiment. We did the collecting-ice experiment for 1000 times ceaselessly without stopping the machine. The first 10 tons per day ice plate machine HYH1 in China come into the world. In order to thank the support from family, the machine was named after the fuonder Yang Hongbo's wife -Haoyan Feng. 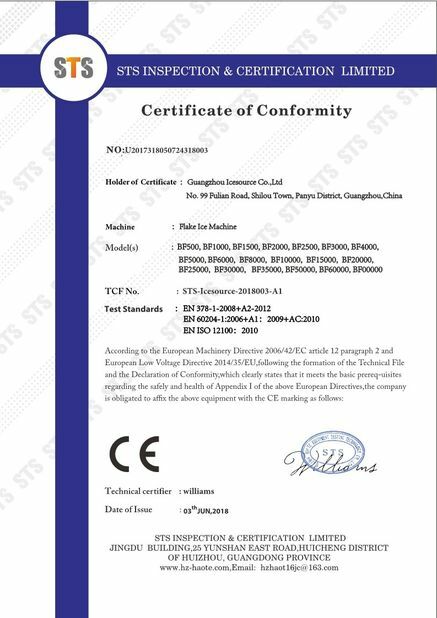 In the same year, that machine was sent to the national center of technical inspection for the performance test. 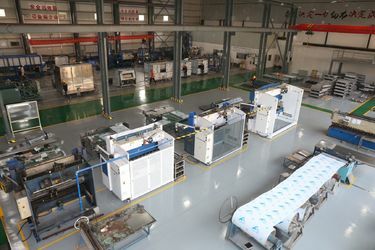 Under the national standard, thet machine costs 55kw when producing 1 ton ice; it saved 45% electric energy compared with ice flake machine.The company applied for a patent in the same year, and got the patent certification in 2006. 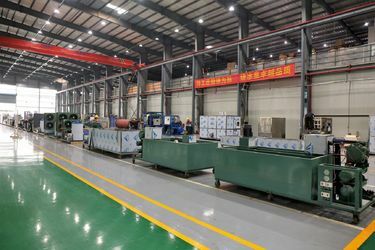 It marked the maturity of technology of flat wall scroll liquid film heat transfer and multi-loop and single-loop heat to collect ice. 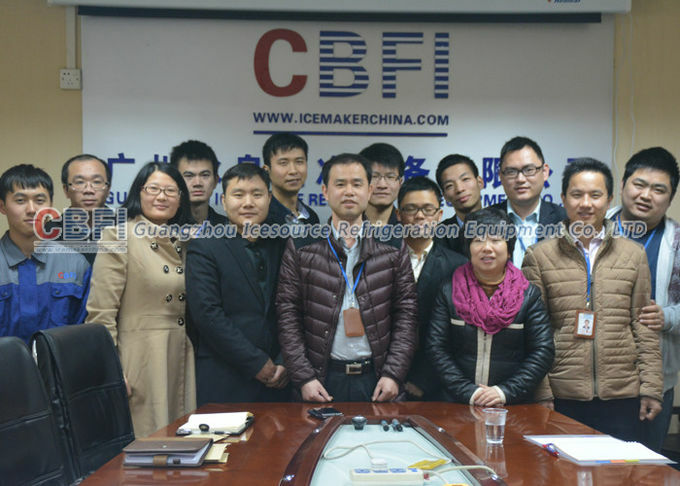 The founders Yang Hongbo and Zhang shaozhi set up the Guangzhou Vista Electromechanical Equipment Co.,LTD, started the production and sale of ice machine.The main products were ice flake machine, ice plate machine and ice block machine. 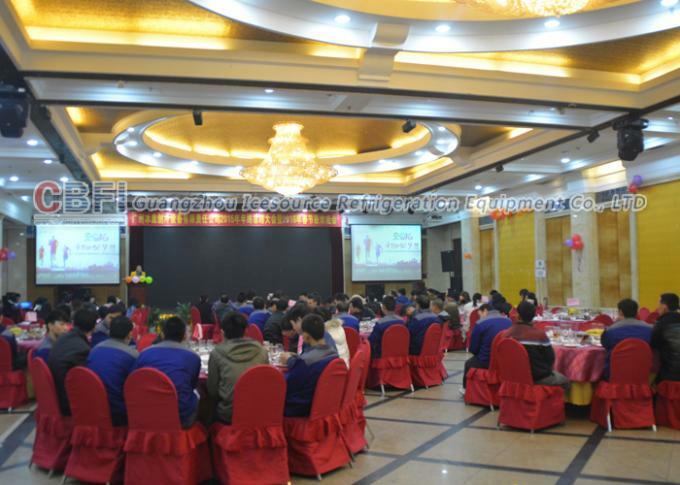 Through in-depth technology research of flat wall scroll liquid heat transfer and multi-loop and single-loop heat to collect ice technology application, the company started the experiment research of large edible ice machine and lower-temperature cooling water unit. The experiment of the first 3 tons per day large edible ice cube machine CV3000 was successful (also the first large eible ice cube machine in the world), and that machine was sent to the national center of technical inspection for the performance test. 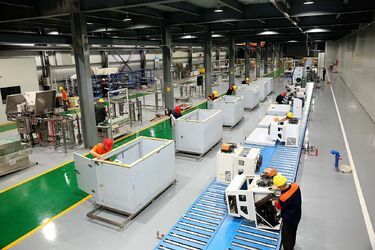 Under the national standard, the power consumption of that machine is 82kw when produce 1 ton ice, compared with the small edible ice machine costs 160kw when product 1 ton ice, it saved 51.2% electric power.It adopted closed-type water circulating system, it save 12 tons cooling tower when producing 1 ton ice. The first machine was sold to the Guangzhou famous enterprise-Guangzhou Huang Zhenglong herbal Tea Food Co..At the same year, the production line of large edible ice cube machine was set up. 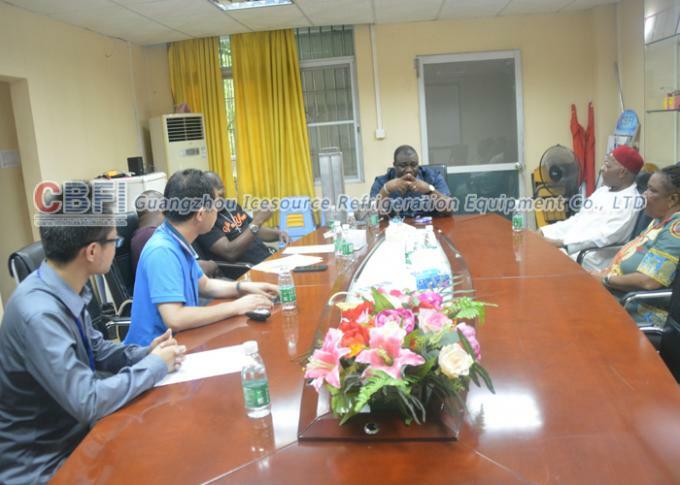 Guangzhou Vista Refrigeration Equipment Co.,LTD. 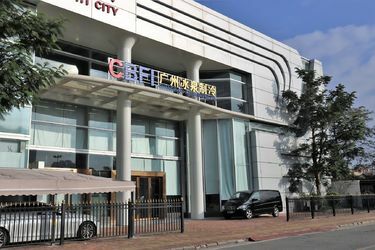 Panyu Branch was set up. At the same year the company applied for the patent of the invention of large ice cube machine and in October of 2009 had get the patent certification. The company also started the research and development of the large ice tube machine. The company became the supplier of Olympics, provided the athletes from 24 competition fields with edible ice. 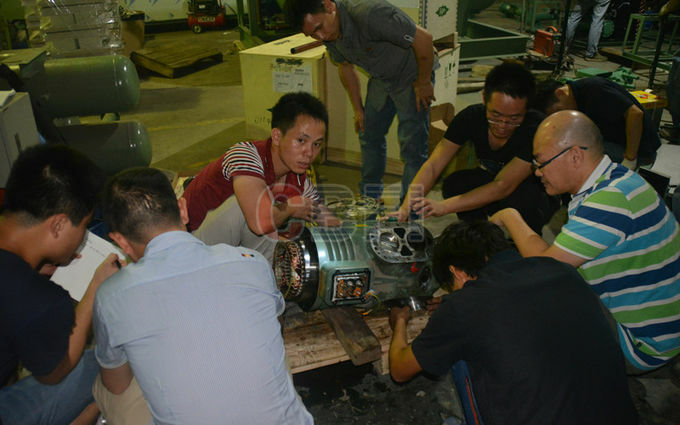 The first 5 tons per day ice tube machine was developed sucessfully, and it was sent to the national center of technical inspection (Guangzhou) for performance test. Under the national standard, the power consumption of that machine is 81.3kw when produce 1 ton ice. The company become the biggest supplier for ice factory around every province in China, As our company require the clients who buy the products must pass the QS, at the same time adopts RO water treatmen facility equipment to provide water and to ensure the sanitary of ice in order to meet the national sanitary standard. In the way, it propels the sanitary ice field in China forwad development. The first 20 tons per day ice tube machine was developed. Meanwhile, the company developed our different machine types with ice diamter in 16mm, 22mm, 28mm and 35mm; It enriched the ice tube machine series. The special low pressure heat supply for ice dropping technology become mature gradually and prevented liquid returning to the compressor which ice off, which ensure the long-term effective operation of the ice machine. 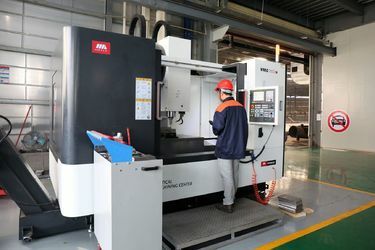 In order to reflect the professionalism of the Guangzhou Vista Electromechanical Equipment Co.,LTD,renameed Guangzhou Icesource Refrigeration Equipment Co.,LTD.Meanwhile, Icesource (Malaysia) Co.,LTD was established, started the foundation of oversea branch, established the system of sale, fitting storage, compressor detection and 360-degree after-sale service. The company provide the origanizer of Shanghai World Expo with large eidlbe ice cube machine CV5000. 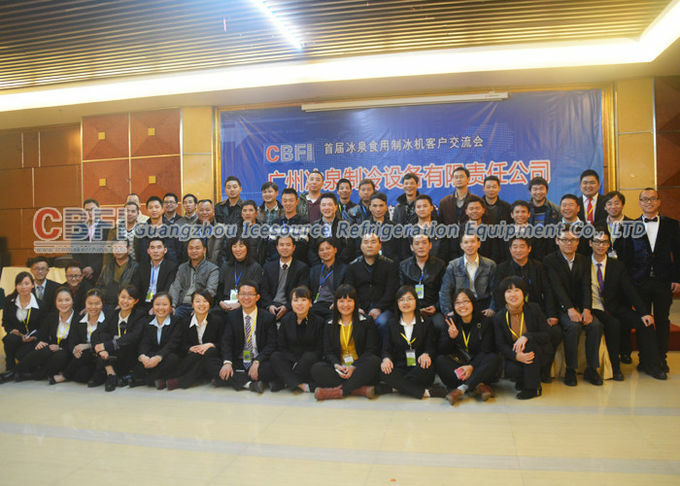 The first non-salt water bag ice machine was tested successfully and was sent to the national center of technical inspection (Guangzhou) for performance test. Under the national standard, that machine costs 73.2kw when producing 1 ton ice. This kind of machine can produce edilbe bag ice. 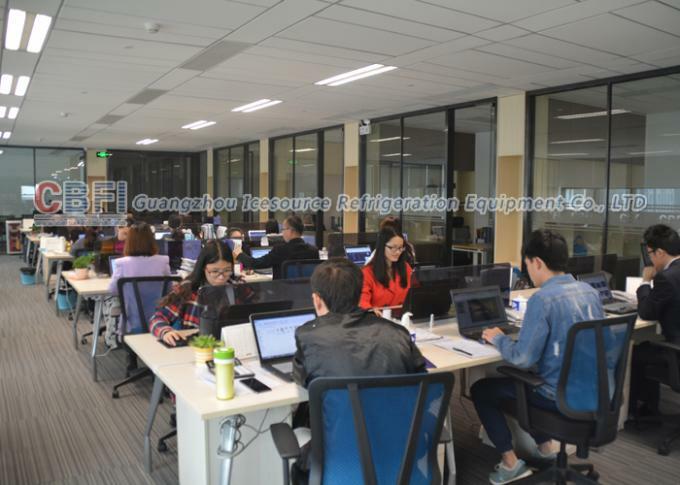 The company established the postgraduate refrigeration research laboratory with University of South China, and it was the experiment based and practice base of refrigeration major students of University of South China. The first full-automatic ice block machine adopted high-efficiency aluminium panel evaporator was tested sucessfully and was sent to the national center of technical inspection (Guangzhou) for performance test. Under the national standard, that machine costs 65.7kw when producing 1 ton ice. This kind of machine can produce edilbe block ice. The world first 100 tons per day with block ice weight 100kgs large ice block machine production line which adopted Freon R507a as refrigerant was tested successfully in Tawau,Malaysia. It remarked the Freon in replae of Ammonia as the refrigerant has been applied successfully in large block machine. This improves the ice factory environment (the Ammonia system will give out ammonia when working,so a lot of excitative gas will exist in the working area), which does harm to our miraculous mind directly) and prevents people and preperty from being harm when ammonia leaks. The world second 60 tons per day with block ice weight 50kgs large ice block machine production line which adopted Freon R507a as refrigerant was tested successfully in Tawau,Malaysia. CBFI as company logo, it meas Customers Benefits From Icesource. 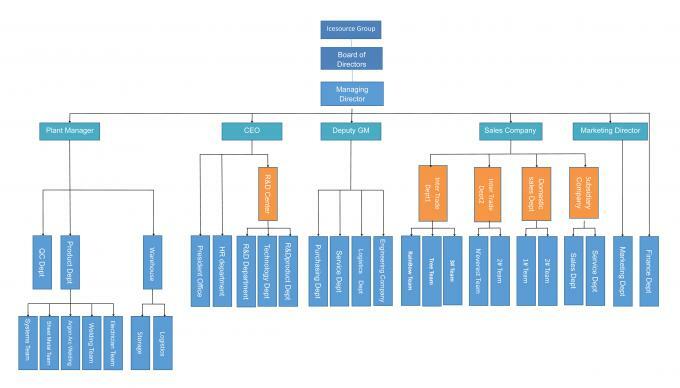 We put service in the very importand postion and we understand customer business is related with CBFI development closely. 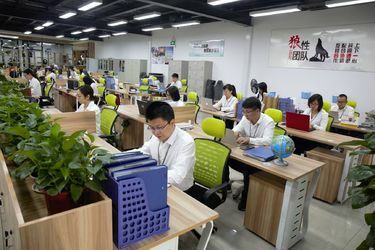 1、We provide one year free warranty for our product. During the time warranty, we will provide free service for equipment faults and damage that not caused by human factors. We will provide service after receive phones or written notice. But service fees caused by improper use will be covered by customers themselves. 3、We also have timely and effective problem-solving mechanism. When any fault happens for our equipment, we will response in 48 hours and solve it in field in 72 hours after receiving use’s notice. 4、We will dispatch technicists to guide installation and commissioning at field after equipment arrived at customer’s site, and provides training for equipment operators if customer need it. Till 2016 year, we have sent technician to more than 50 countries to install and solve problem for customer. The annual summary meeting: we all particapate in the meeting to summary up the past and look to the future. 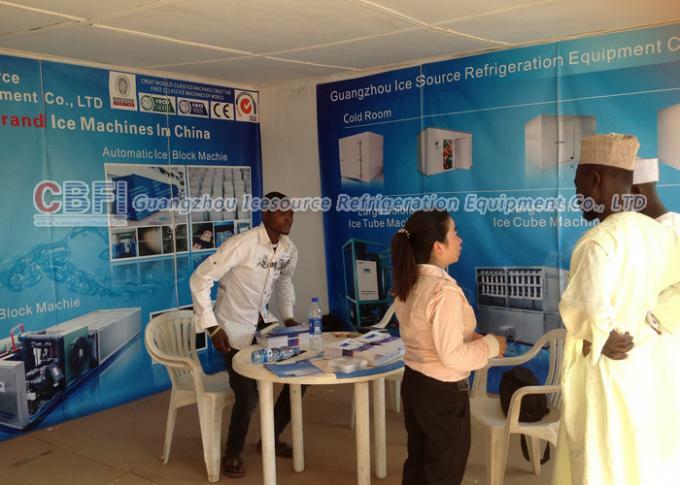 At the show of Nigeria branch, our ice touched the hearts of clients. 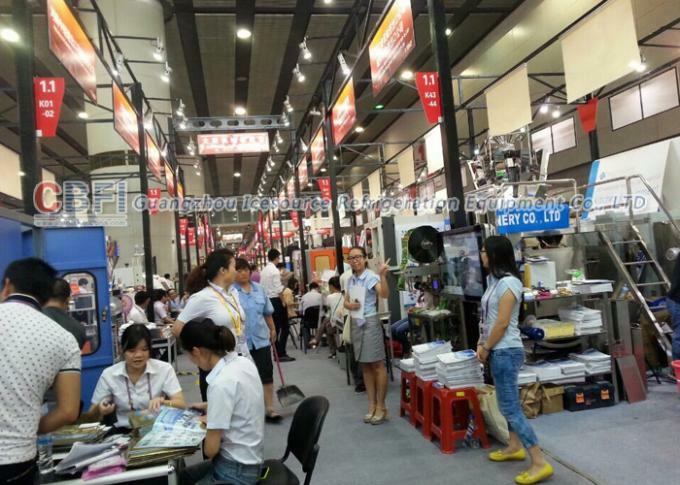 At the China Canton Fair, this is a world belongs to us " Manufacture carefully, service wholeheartedly'' is our byword. Client's smile is our most satisfactory answer : we always adhere to the concept of " People-oriented,service oriented''. We will hold the professional skill knowledge trainning at fixed period every month.